Football is a source of pleasure and entertainment for millions unable to indulge in leisure pursuits out of the financial reach of many in Africa. Football has the power to create unity out of division and joy from sadness. Yet, for millions of people in Waithaka, Kenya, poverty is their daily reality - and for these, the importance of the beautiful game cannot be underestimated. The Agape Football Academy is provided for talented individuals who can show their ability and passion to perform as an individual player but also building relationships within their team. The project promotes getting children off the streets and engaged in team sports that develop team-work, creative flair and confidence. The Academy is coached by Jack Murray and Joe Wairegi. Both Jack and Joe play for the local team, Waithaka United. As an Academy, we train 5 days-a-week (Mondays, Wednesdays, Thursdays, Saturdays, and Sundays). Sessions normally last between 1.5 to 2 hours however on many occasions we continue long into the afternoon. The initial three age groups of the Academy are Under 10’s, Under 14’s and U.17’s. Children that show potential talent will be coached to make most of their talents, giving them an opportunity to succeed as an individual. Training sessions consist of fitness drills, football skill-based tasks, teamwork drills and game situations. The three age groups play matches against other local team and participate in local tournaments. 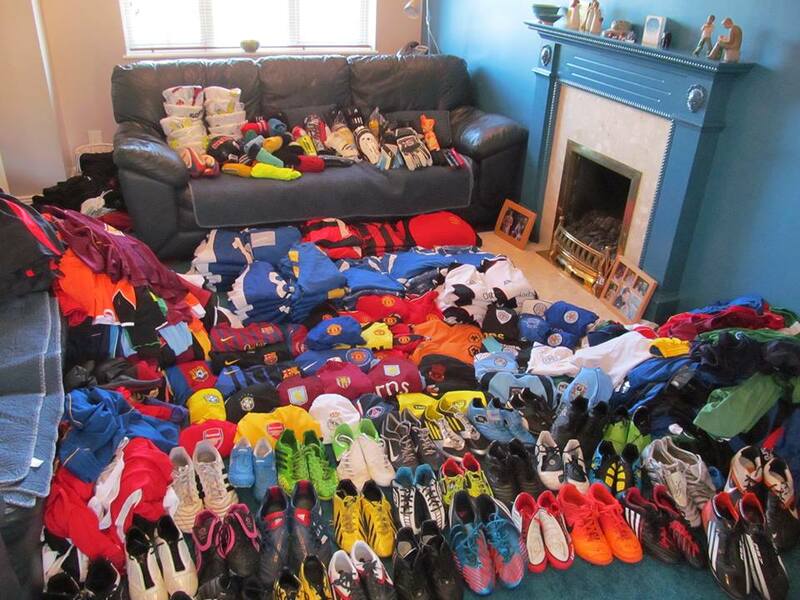 As a charity, we try to promote the donation of old unwanted football clothing, footwear, and equipment from volunteers friends, families and the general public. When and where possible we provide the kit directly to the individuals who need it most within the projects or local area. Agape will make funding available for children who will need to travel in order to play at the Academy. Any donations or money raised for the Football Academy is pumped back into the project allowing new equipment to be purchased and a vital opportunity for expansion and ultimately offering football and a community project to a larger audience. Visit our donations page to support this important project.